1000 km milestone is getting closer and closer. Now we are nearby Kokkola city in Poroluoto island. There are "wilderness" hut and sauna located at this island. 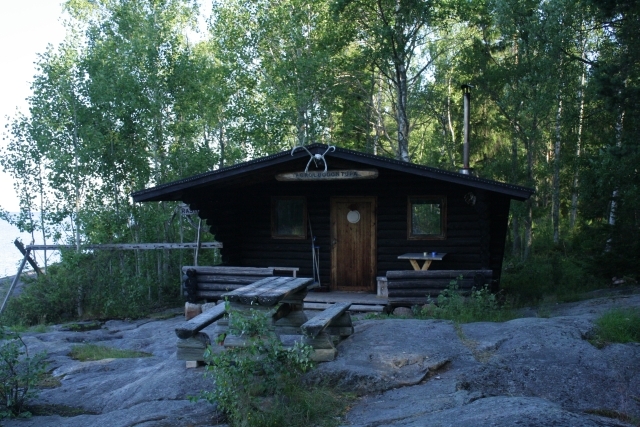 The cottage and sauna is owned by the city of Kokkola and they are meant for recreational usage. I don't know if wilderness is correct word for this cottage, because it's located close to the city, "wilderness hut" is more suitable word for the huts in Lapland.